As a celebrity personal assistant you can earn up to $100,000 per year, and enjoy an incredible lifestyle that most people can only dream about. Celebrity assistants get to experience the lives of the rich and famous. Being a celebrity personal assistant allows you to enter this exclusive world and live like a star. As a personal assistant you may take care of a celebrity's household, screen their phone calls and fan mail, plan their parties, and do other tasks to take care of the celebrity. Most celebrity personal assistants get to travel and spend time with famous, talented people. You may go behind the scenes at film shoots, and if your celebrity can't attend the sold-out sports event, concert or movie premiere, guess what? You do! You will always be on top of the hottest trends in style, fashion, art and decorating, and will often be given a stack of cash to go out and buy those things for your celebrity. In fact, many celebrity assistants receive new furniture, jewelry or other expensive gifts from their celebrities. One popular television personality even gave her assistant a Land Rover! Some celebrity personal assistants have moved on to other exciting careers. Madonna's assistant became her manager, and other assistants have gone on to executive positions in the film industry. There is also the very strong chance you'll become close and intimate friends with your celebrity. They may take you in as their confidante, since they know they can trust you with their most intimate secrets. If this sounds like the career of your dreams, the FabJob Guide to Become a Celebrity Personal Assistant is for you! This e-book gives you the industry secrets and practical advice you need to get started and succeed as a celebrity assistant. Jason Simas: Jason found his first job in L.A. working as a butler for a celebrity before joining the William Morris Agency. The projects he has worked on have featured many celebrities including Renee Zellwegger and George Clooney. 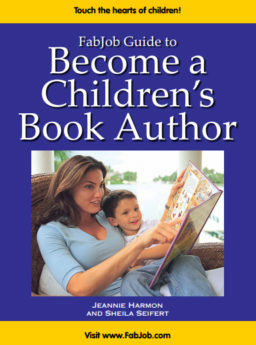 More than a dozen celebrity personal assistants contributed their insider knowledge to this guide. They have achieved their dream of working with stars (including several Academy Award winners). What does a celebrity look for in a personal assistant? 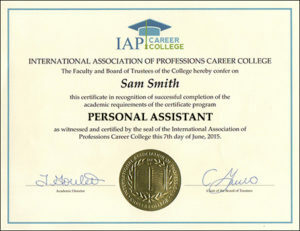 How did you become a celebrity personal assistant? What advice do you have to help someone break in to this career? How should a celebrity be contacted if someone wants to be their personal assistant? What specific dos and don'ts would you give to someone for a job interview with a celebrity? You can have all this and more for an incredible price. It can cost hundreds of dollars to take courses on starting a business, and chances are they will not include specific information about becoming a personal assistant. The FabJob Guide to Become a Celebrity Personal Assistant contains some of the best business advice you could get from other sources, plus much more. The information in this guide can save you many hours of research, help you avoid some costly mistakes, and give you information you need to become a celebrity personal assistant. You can earn back the price of the guide your first day on the job. And if you have what it takes, with this guide you can get the job you want much more quickly. 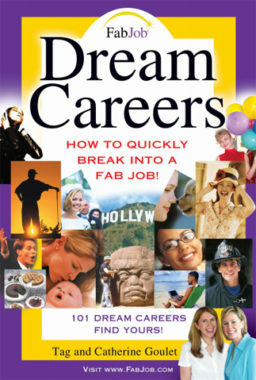 If you believe you deserve to have the career of your dreams, the FabJob Guide to Become a Celebrity Personal Assistantis for you. It gives you what you need to know to get hired as a celebrity personal assistant. The authors of this guide have been interviewed about the topic of celebrity personal assistants for numerous media outlets including the New York Post, Los Angeles Times, Chicago Tribune, ABC News, and Entertainment Tonight. In this e-book they share with you insider information to help you launch your career and get hired as a celebrity assistant.